Gentle Finnish animation Moomins on the Riviera will appeal to lovers of Tove Jansson’s children’s books and comic strip about a family of hippo-like trolls, but its low-key charms will probably elude anyone who didn’t grow up with the tales. Setting sail for the French Riviera, the Moomins hobnob with aristocrats and playboys on the Côte d’Azur, their naïve innocence getting them into all sorts of mild scrapes. The placid hand-drawn animation makes a refreshing change from the frenetic pace of some CGI kids’ films, but the lacklustre British voice cast lets the film down. Certificate U. Runtime 74 mins. Directors Xavier Picard, Hanna Hemilä. 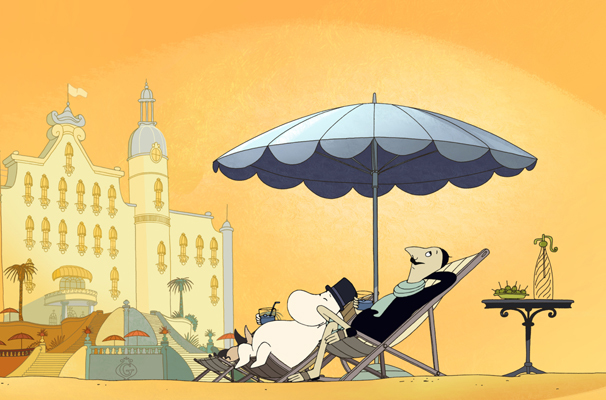 Moomins on the Riviera is released on digital and DVD by Lionsgate Home Entertainment.